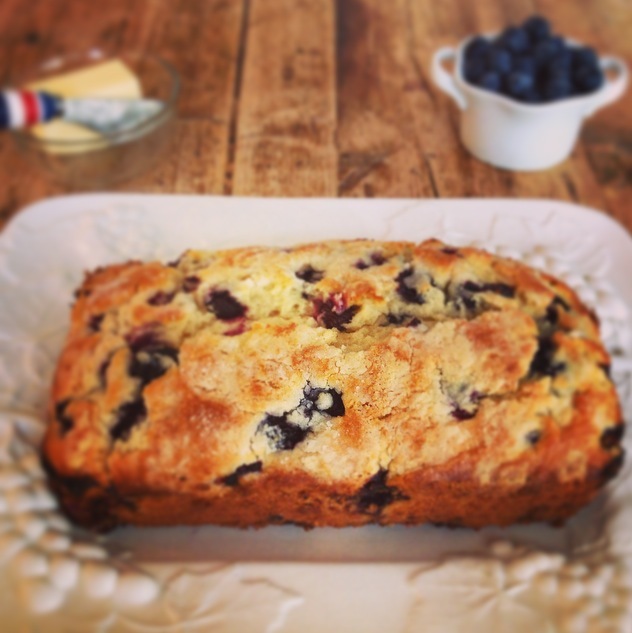 Hold onto summer with this absolutely delicious Blueberry Muffin Bread. 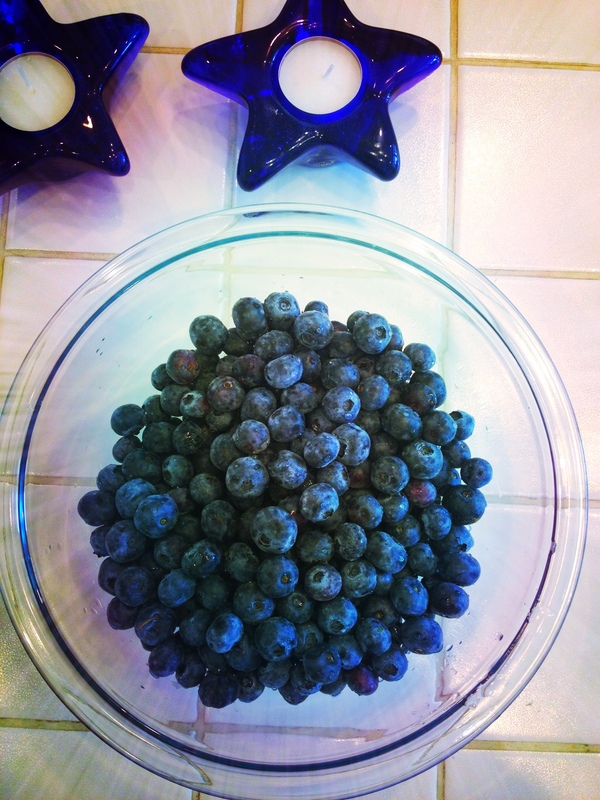 Pick out the biggest, juiciest blueberries of the season and load up the batter. It’s easy to make…. trust me, I’m not a baker (I rarely use measuring devices when I cook). But this bread will now be a regular in my home. My parents have noted that while it’s obviously good to eat just plain on it’s own (I made this at our family cottage and let’s just say it didn’t last long), their new favorite is to toast a slice for breakfast…. 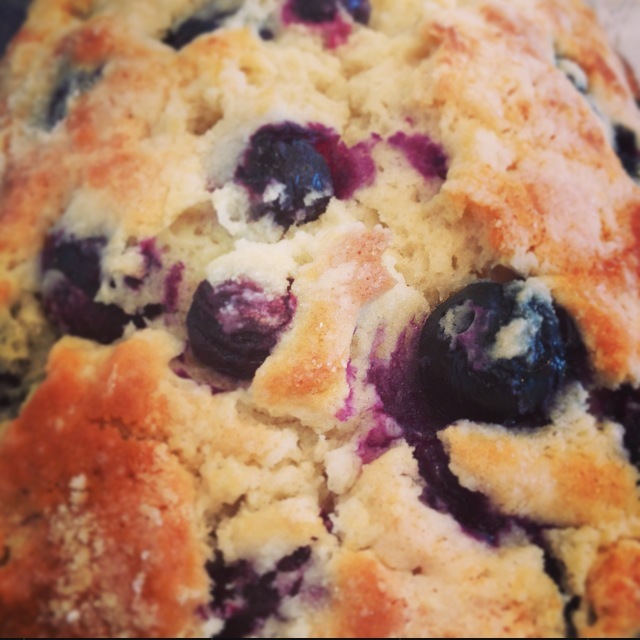 the blueberries get hot, the edges crispy, and the butter just oozes out of the bread…yuummm. 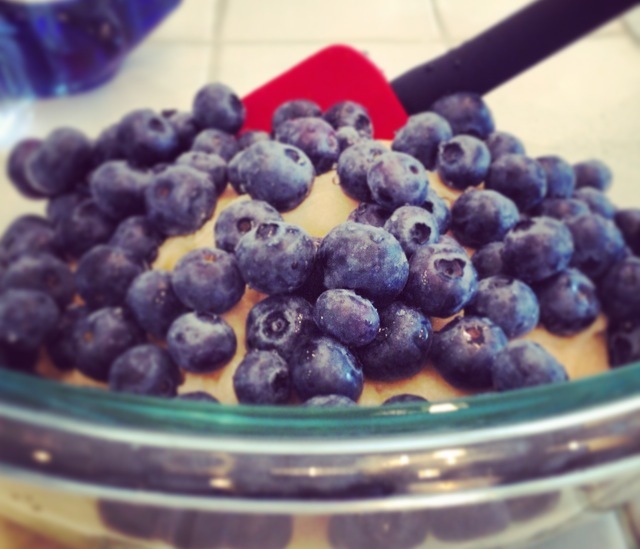 You can also use this bread to make Blueberry Muffin French Toast or a Michigan Summer Sundae. Put oven rack in upper third of oven and preheat to 375°F. Generously butter bread pan, or spray with Pam Baking Spray. Melt butter in a small saucepan over moderately low heat, then remove from heat. 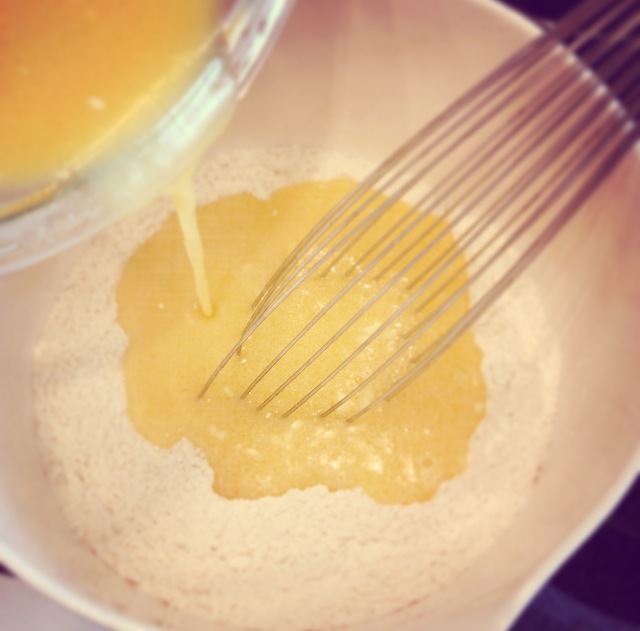 Whisk in milk, then whisk in eggs and vanilla extract until combined well. 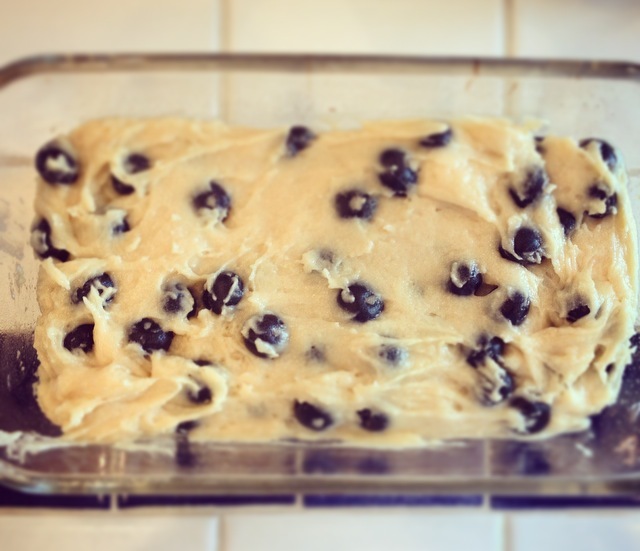 Pour batter into the buttered bread loaf pan. 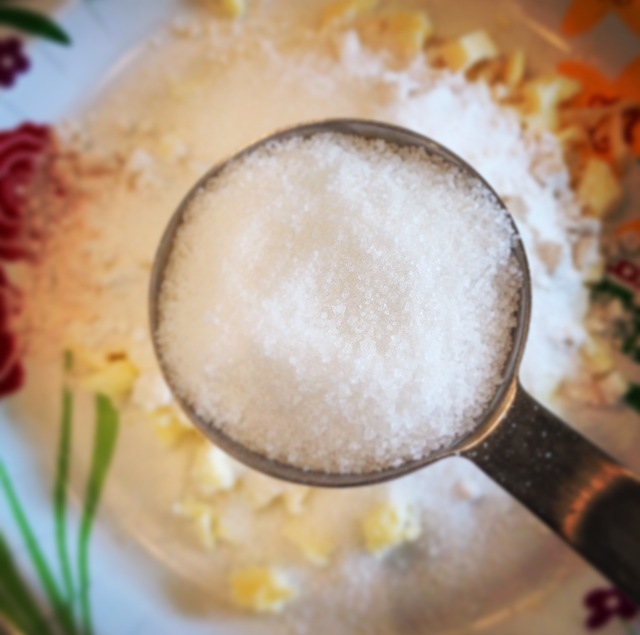 Make topping: Rub together all topping ingredients in a bowl with your fingertips until crumbly, then sprinkle evenly over batter in the bread pan. Bake until golden and crisp, about 45-50 minutes. Insert a wooden pick into the center of the bread – when it comes out clean, it’s done. Let it cool a bit before removing it carefully from the pan. Enjoy for breakfast, lunch, snack and dessert!